Mediate.com has given us a wealth of online resources, as well as opportunities to link with others across the world. Sincere thanks and appreciation for all the hard work so far, and all good wishes for the future. 400th issue. How do I love thee? Let me count the ways. Mediate.com is a great clearing house. Mediate.com helps us to form meaningful cohesion with a mediation community all over the world. Mediate.com, in each issue, offers an insight into a problem arising in at least one of my myriad divorce mediations. Mediate.com offers me a chance to write about a particular feature of divorce mediation that I think is of general interest. When I expanded my practice to include mediation to help married couples stay together, mediate.com was one of many great soapboxes. Thank you Jim, Josh and many others who bring some guidance and structure to our profession. I appreciate the way that Mediate.com has steadfastly maintained a forum for all points of view within the sometimes tumultuous field of mediation. Congratulations on this latest milestone!! And thank you for walking the talk, and providing this important meeting place and resource for mediators, clients, and commentators. Mediate.com makes the network work - I can and have uploaded my articles and downloaded others' contributions - I actually scan thru your list of articles each month - the precis's are great - and read a number of them. Through some magic (more likely hard work and talent) you all manage to keep the quality up - and up. I look forward to the next 200 issues. Mediate.com broke ground as the first on-line gathering spot for dispute resolution professionals. The breadth of information contained in scholarly and thoughtful articles about all aspects of the mediation process; the resources for referrals for out-of state clients, and for one's own potential clients; the forum for communication with like-minded professionals around the world; combine to make Mediate.com one of the primary sources for information about mediation on the web. Mediate.com has been a valuable community resource for mediation around the world where mediators can learn valuable information, and the public can find mediators suitable for their needs. Congratulations to Jim and his team for their continued valuable service to the ADR community. I was one of the early users of mediate.com and have appreciated the opportunity to have my website on mediate.com maintained with the help of your staff. Israel, India, Ireland, Germany, and Spain, and many states in the US and Canada. These are the places where I have heard from people or conversed with people related to the articles I have written on Mediate.com. This shows how far-reaching this WEB-Site is, and its vital role in the conflict resolution dialogue. With the proliferation of violence and wars in many regions throughout the world, I feel we have a long way to go in trying to stem the tide of violence and anger and pursue peace. But I am so grateful that this vehicle of disseminating ideas on the subject exists. I thank God for you, and may God bless you in all your future endeavors. Mediate.com receives priority attention each time it arrives. It has earned this loyalty by providing the highest level of professionalism and content. I love that Mediate.com is a breeding ground of ideas from ridiculously smart people within out field. Congrats on your 500th Edition! This publication fills an essential need for mediators: It allows us to keep up with each other and the field. In fact, as I think about it, I can come up with no other service that even comes close to mediate.com in quality of delivery, clarity of purpose, and level of value. Thanks to you for your effort, vision, and commitment. And congratulations on this big milestone! Mediate.com is priceless! I consider it my ”mediation university” that also helps me, a Swiss mediator, keep easily abreast with issues that are of concern to American colleagues and with what is going on in other parts of the world. The Mediate.com Weekly – a super service! I never miss looking at it. And I greatly value Robert Benjamin’s "The Mediators: Views from the Eye of the Storm" series. What a superb learning opportunity! Mediate.com is a monthly touchstone that reminds mediators and peace workers that there are others out there thinking about and working on the same issues. It is a source of community, and a place to keep your thinking fresh. - Bill Withers, author "The Conflict and Communication Activity Book" and "Resolving Conflicts on the Job". Congratulations to Jim and the team on such a wonderful performance. Mediate.com has become the central point of contact for so many of us disparate souls and made us into a real family, and that applies even more so for those of us at the bottom end of the planet who still strive for professional excellence in our work. It is difficult to imagine again what the lack of communication was like prior to Mediate.com and I think we now take for granted what an amazing job Jim and the team do. Thanks for the reminder! and Good Luck with the next 500 issues. I have been using Mediate.com for several years now and have found that, not only is it a great way for clients to find me, but that those who do are better qualified since they are looking for mediation, not some other type of service. Congratulations Mediate.com on achieving 200 issues! John Melamed provides a thorough summary of the many ways Mediate.com serves mediators. I am grateful for the chance to give a personal testimonial on the value of Mediate.com to me. The chief value of Mediate.com for me is its courage in presenting diverse opinions on mediation. 3,000 articles provide a wide range of opinions, all in one place. So here is one more opinion: Mediate.com is the premier site not only for hearing today’s different voices in the discipline, but also for being heard. I say this because, whether you practice conflict transformation or conflict cessation, your voice can be heard at Mediate.com. Whether your presentation style is bombastic, oracular, well-reasoned or contemplative, you can be heard here. Your voice can be heard whether you think of mediation as a craft or an art, as using skills or support. Whether you think the best use of mediation is in being transformative, facilitative, evaluative or even manipulative, your voice will not be excluded from this most democratic conversation about mediation. By providing the virtual space for interested parties to be heard, Mediate.com supports the field and helps it develop. It is in allowing the facts and the feelings, the sense and the nonsense to surface and be heard, that we can choose the ideas most useful to us at this point in our practices. And while there can be no guarantee that ideas about mediation will continue to mature, if they do, Mediate.com will surely play a large role in that maturation. Thank you for all your efforts these past 12 years in helping us get this far. And again, Congratulations! Mediate.com was in the "space" (online) for dispute resolvers before anyone else, and has served as a virtual meeting place, communication vehicle, and publisher as technology has moved more and more into the mainstream of ADR practice. Best wishes for 500 more, and 500 more, and 500 more, etc. Innovation after visionary innovation—that is the stuff of Mediate.com that is revealed with each successive issue of the Newsletter. Not only do I regularly refer clients and professionals, both new and used, to mediate.com, its presence on the internet is a source of creative, unfettered ideas that constantly challenge the status quo of practices in our field. Without mediate.com, there would mostly be same old same old. Without mediate.com, the active field of mediation would still be mostly obscure. Mediate.com serves as a hub of contact for professionals and clients from all over the world to share problems, practices, resources and contacts. And, it has been an invaluable source of referrals to my practice, to boot. Congratulations to Jim Melamed and staff for their tireless efforts in achieving this long a wonderful ride! Congratulations on your 500th Edition. I frankly don't know where I would have been as a new mediator in my mid-50s without the support of and community created by mediate.com. Jim Melamed published my very first article on mediation back when I was earning my LL.M at the Straus Institute and trying to figure out what to do with this challenging new career - most importantly, how to make money doing it after 25 years of an equally challenging but, in retrospect, legal cradle to grave career. I mean - a PAYCHECK. 401K's. Health, life and disability. SUPPORT STAFF. But I digress. Though I did not end up where I presumed I would (a high six-figure mediator of complex commercial litigation) I don't think I would have developed the career I did as a consultant, trainer and author, in the absence of Mediate.com's support. And the personal support of Jim Melamed who guided me whenever we met, gave me heart and hope, and involved me in anything I wanted to be involved in with mediate.com. Praise, praise and eternal gratitude. Mediate.com is a valuable resource for those who Mediate. The website has always offered those in the ADR field a resource for the exchange of ideas and education. With the 500th edition it speaks volumes about the leadership and commitment to ADR and a useful tool to use in the world of conflict. There would be no mediate.com without the visionary thinking, foresight, know-how, and ethics of Jim Melamed. He has created and grown an invaluable and highly accessible resource for the the mediator community and the public at large. Thank you Jim. I have been a member of mediate.com since I began my involvement in the ADR field and enthusiastically supported growth of its knowledge base by writing a number of articles and blog entries over the year. Mediate.com has given me access to people all over the world through these services. Mahalo to Jim, Josh, and the rest of the staff for being a reliable provider and source of knowledge. Security is always a challenge when on the internet and I have found that Mediate.com is consistent in providing, upgrading, and responding to security issues. Well done Mediate.com. I have read every issue of the mediate.com newsletter almost from the beginning and always come away with a new insight or something new to think about. Thanks for providing this superb resource. I joined the field of mediation to provide outreach and services to Latino communities. The more time I have spent in this field, the more I have learned from the community as well as from fellow mediators. mediate.com was the first place I considered to share information about some of my learning, because it is the online resource I go to when seeking information and education about this field. Additionally, I appreciate the ease in the submission process and the positive format. I feel that anyone who brings a sustainable, long term multi-perspective project such as Mediate.com to this very troubled, self-centered world with all it's broken systems with solutions and choices is to be praised. Thanks James for giving me an opportunity to publish once in awhile the work I am doing to bring conflict resolution to the table. These busy days, so many newsletters and announcements arrive in my e-mailbox. Most of them I should read in order to keep informed. The rest I delete or click on "unsubscribe." The arrival of a very, very few make me smile with anticipation. Mediate.com is one of those rare arrivals that fall in the category of want-to-read—no, can't-wait-to-read! It is the mediation publication and Web site. One can keep up with the latest, read the intelligent thoughts, ideas, and practices of other professionals, and easily follow what's going on that's related to ADR in the blogosphere. A big plus: Mediate.com has fostered a community feel and flavor. Congratulations on your 200th issue and two million thanks. Mediate.com has modeled successful marketing of our field. Staffed with some of the most effective people in our field, it has provided a gathering place for dialogue and thought in our field. Always thinking one step ahead, it has challenged us all to be our best selves. While organizations and administrations come and go in our field, mediate.com has stayed the course and proven itself a source of creativity again and again. I congratulate Mediate.com on yet another wonderful milestone! Reaching its 500th edition, the Mediate.com Weekly shows that quality does not suffer with quantity. Each week The Weekly is something that I have relied on as it offers content that has benefited me with my research and that as a practitioner. Thank you and keep it up- here's to another 500 (and more)! Jim and I go back a long way. He, Gary, Clare collectively and in their own right have enabled many of us to launch our careers as neutrals through the Mediate.com vehicle. Their continuing innovations and tremendous support are unmatched. Congratulations! Here's to your ongoing success, and thanks for taking us along for the ride. Mediate.com epitomizes what futurists envisioned the internet would be. It is an information repository where knowledge is openly provided by and accessible to all, ultimately making the world a better place. Mediate.com has been an invaluable resource for building my mediation practice over the past ten years. Whether it is connecting me with mediators far away or publishing my own writing and thought, I look forward to my weekly newsletter and depend upon mediate.com for leading the profession to new heights. The service provided by mediate.com is an important one because they go beyond allowing mediators to "advertise" and be easily located in the area they are needed; mediate.com also educates those whom are looking for an expert mediator and helps them locate one near them. The additional education and information for everyone is a much needed service because most people will never know what a mediator is until it is too late and they find themselves in a situation needing one. Were it not for mediate.com, it would be too late at this point to find the right professional for your situation. Mediate.com is the touchstone of current mediation articles and information. I find it to be an invaluable source for "what's happening" in the field. Congratulations, Jim for the great success of your tireless and energetic efforts in promoting all aspects of the spectrum of mediation fields. You have singularly maximized the power of the internet for mediation professionals and consumers. Mediate.com is the go-to resource for credible, current, and meaningful ADR ideas, applications, and connections. It's potential and value will continue to be redefined, expanded, and exceeded with Jim Melamed at the helm. Jim and his staff have a unique ability to bring people, thoughts, and ideas together in ways never before done. This is the exact resource I need to help me progress and provide meaningful and unmatched value to those I serve. While the field of mediation has grown, diversified, and specialized over the last decade, one constant has been mediate.com’s ever expanding presence and voice. No other online entity has done more to promote collaborative approaches to resolving conflicts than the folks at Resourceful Internet Solutions and their flagship website, mediate.com. Perhaps more important than promotion of the field, mediate.com has helped create a real community of dispute resolution professionals. With one click, I instantly see photos and new commentary from friends and colleagues. Mediate.com has helped build a strong foundation for mediation and much, much more. I want to thank you, John Helie, Keith Seat and John Ford for your years of commitment to one of humanity's most important enterprises. In these times of massive and confusing media overload, more and more people express a desire for a peaceful and respectful life for all yet, for many, those goals are compromised by those whose agendas are served by violence and violation of personal boundaries. I envision a day when all children learn mediation as part of their standard curriculum. Shortly after that, on the human scale, I envision a day when everyone in any position of power and control, all the way to the top levels of leadership in the world, understands and uses mediation as the preferred method to resolve differences. When that day happens, in large part, it will be due to the collaborative work and genius of Mediate.com. I look forward to reading your next 200 issues. Mediate.com is an essential resource for the field of mediation. Over the years, it has been a wonderful source of information about our field - invaluable and timely. Mediate.com was one of the first organizations to recognize that Mediation had been transformed from lawyers and judges settling cases to a separate discipline achieving a new professional designation-The Mediator. Your Website provides a treasure trove of shared experiences, publications and "how to advice" used by mediators making the transformation from adjudicative dispute resolution to the collaborative forms of dispute resolution. As one who resolves disputes in both adjudicative and collaborative fora and who teaches Mediation at UCSB Extension, I advise my students to go to Mediate.Com to learn about the important developments in the Mediation Profession. Many years of continued success and thanks for the labor of love that has contributed so much to the Mediation Profession. Best regards and many thanks to your support team as well. The articles are always interesting and helps keep me on the cutting edge of new developments and approaches. Thanks. Keep it up. Mediate.com has provided a wonderful service to the mediation community to both those who want to write about mediation and those who want to read about it. By offering ready access to such articles and a simple way of publishing one's work, they facilitate communication about mediation in a way that is a benefit to all. Mediate.com is filling an important need with a valuable service and this is always a prescription for guaranteed success. If this sounds like the truth, that is because it is! And that is what good mediation is all about. Jim Melamed had a vision that has become the premier website and resource for mediation and mediators. Timely articles, a true resource and quality people. Congratulations on 500 !!! Congratulations to Jim Melamed and the Mediate.com team for making a great and lasting contribution to the mediation and alternative dispute resolution community! For 16 years, Mediate.com has been every mediator's business partner. They have increasingly become the "back office" of every mediator from website to news to marketing to case manager in the cloud, they continue to stay a step ahead of what we all need. I couldn't do what I do without them! Mediate.com was the first place on the internet I discovered when I begin thinking about a career as a mediator. Jim Melamed has created a dynamic site that assists mediators with articles, training information and other timely news. It also is the first site that many users discover when looking for a mediator or conflict resolver. The site continues to evolve and progress with blogs and more. Mediate.com has become a central ingredient in helping our profession grow and prosper. Congratulations on your fantastic innovative work, keep it going. In researching current trends regarding conflict for our books, we have found mediate.com to be a valuable source of information. Access to information, issues and experts is easy and the sheer volume of data is impressive. Congratulations on your continued success! The fact that mediate.com is producing its 500th edition speaks volumes. Thank you for keeping an active mediation community connected. I want to echo all the other words of congratulations for 18 years of outstanding work in the field of mediation by Mediate.com -- your name says it all! You are the leader in the field! I have always listed my website with mediate.com and have appreciated not only the wide ranging audience that mediate.com brings in, but the technical support and maintenance of the site. I encourage all my students and training participants to have their websites on mediate.com. In addition, mediate.com is a wonderful resource for articles, trainings and an up-to-date calendar of events. Mediate.com is to the mediation business what Variety is to show business: the Bible, and fun to read too... Congratulations and looking forward to many more years of superior service to the mediation community! Mediate.com is our home base. It is the source of all things mediation. They continue to innovate, reinventing the site to cater to the needs of the mediation community and its users. In the last 50 years, perhaps more so than at any other time in human history, focused attention has been given to the study and disciplined practice of negotiation, mediation, and other means of managing issues, controversies and conflicts throughout the world. The importance of this development can't be underestimated for the future of the planet. The emergence and development of Mediate.com over the better part of the past 2 decades as the most recognized and long standing on-line resource, is not only reflective of this focus but has been a significant contributor. Mediate.com has deservedly earned the reputation as a primary, 'first stop' resource for both the general public and professionals. On the most basic level, the articles and resources broaden the public awareness about negotiative processes. For practitioners and theorists, Mediate.com provides an essential forum to exchange ideas, discuss issues and advance their thinking about all aspects of practice. The newsletter feed through Mediate.com has been instrumental in helping to keep my practice visible to clients! Jim and his ever-helpful staff are always responsive, flexible, and easy to work with and in general, I find that the articles and job opportunities I find on Mediate.com are relevant to my work, interesting to read, and easy to digest. It's a pleasure. Thank you! To have an idea is one thing; ideas proliferate like leaves in the wind. To act on an idea is quite another thing. Then there's the matter of getting established, which is rare indeed. This is what Mediate.com has accomplished. It has become the gold standard. That doesn't just happen; it requires vision, management skills and persistent work. John Ford is a wonderful editor; he knows how to hold a trembling hand. Jim Melamed has developed an institution that has become integral to the mediation landscape. What they have achieved is inclusion in the broadest sense; new writers are constantly featured, old writers are allowed to develop, and the reading public is everyone who wants to participate in that way. Congratulations on the 200th. issue and I hope to contribute to the 500th. Without them, my website's toast. How to remove a lot of risk. And keep my clients on the beam. Mediate.com is the most recognized source for easy access to scholarly articles in the field of conflict resolution . Well-deserved congratulations on your 500th edition! Mediate.com is simply THE most important on-line resource that supports our profession. I have benefitted personally via lurking , absorbing new ideas, and being reminded of old good ones. As a writer, reader responses from Mediate.com are gratifying and exceed feedback from standard print journals . As a professor, Mediate.com is one of my first recommendations to grad students entering our field. As a trainer, Mediate.com is high on my list of suggested entry points for networking and learning. Congratulations to Jim, John, John, Clare, Keith and all of the inspiring writers who have contributed to this marvelous enterprise! Mediate.com is the best resource for neutrals wanting web and email services. The company understands the special needs of our industry. Jim's staff is professional and promptly responsive to questions and requests. I provide students in all my classes with copies of or citations to mediate.com articles. They are an invaluable source of up to date information and practice approaches written by some of the most important practitioners, teachers and researchers in the field. Students find the articles informative, helpful and always provocative. We all know how important communication is in resolving conflicts between opposing parties. But it is equally, if not more important to conflict resolvers, and to the field of conflict resolution as a whole. Quite simply, without Mediate.com, we would be less aware, less unified, and less successful. Mediation is exciting, demanding work, and a collaborative enterprise, and Mediate.com has been the glue that has held us together, knitting our practices, and revealing to us what we can still do better. We owe John Helie, John Ford, Jim Melamed, and Keith Seat, who have pioneered in keeping us awake and informed, our deepest gratitude and continuing support. I want you to know that your site brings me more business than I would have ever imagined from a third party referral site. FYI since October 15, 2013 I have received 20 phones calls about my services as a result of my involvement with mediate.com. The majority of my mediate.com referrals have resulted in new business for my firm. You should be very proud of yourself! Mediate.com is a great service to the mediation community and to the general public who need our services. Nothing could be higher praise than to observe that the purpose and now well established and pervasive presence of Mediate.com exemplifies the highest values and importance of mediative and facilitative processes in our culture. Mediate.com offers a forum where matters of concern to anyone engaged in conflict management, from the public to the professional, can turn for an invaluable resource. It reflects the best and most capable application of current technology to our thinking and approach to dealing with the disputes and difficulties that have been around since the beginning of human kind. I am proud to have the opportunity to play a small part in the ongoing development of a truly unique and quality endeavor. When new mediators ask me to name the best resource for news, ideas, and information on dispute resolution, I tell them there's only one name they need to remember: Mediate.com. No other publication--either print or digital--brings together so much wisdom from so many experienced practitioners across the world--and all of it just a mouse click away. And unlike other online ADR resources Mediate.com is more than simply a web site. It is simultaneously conversation and community--innovative, dynamic, and vibrant. Bravo, Mediate.com, and congratulations on your 200th edition. Mediate.com is an indispensable promoter of a peaceful society informing the public about mediation, connecting them with dispute resolution professionals, and assisting dispute resolution professionals with a website with a variety of innovative features. I appreciate and admire Jim’s visionary leadership and accomplishments. Many thanks to Jim, Clare, and the Mediate.com team - especially the hard-working programmers - for listening to and quickly accommodating our non-western (Asian) character support needs. Best wishes for continued success! Mediate.com is a wonderful resource of relevant and applicable information and insights. One of my missions as a mediator is to help educate the public about the many useful ways the tools and skills that fuel the mediation process can also be helpful in daily life. I often send my clients articles from Mediate.com as a followup to their sessions to reinforce or expand what they learned in mediation. Jim Melamed's and John Helie's vision of the potential of the internet for our nascent field was one of the most momentous developments in the modern history of mediation. Mediate.com has ever since been the gold standard for DR education of both practitioners and clients. It taught hundreds of us professionals the basics about internet marketing, while providing consistently excellent service, tailored to our specific needs. The Mediate.com newsletter is such a great window into the current ideas and creative thinking of people in our field. I read it because the articles are short and sweet, it comes to my inbox, and I feel it helps keep me up to date on what is happening. I want to congratulate you on the occasion of your 200th newsletter celebration. Not only does your newsletter provide great value to me and my organization: the web service and support along with related activities such as Keith Seat's Mediation News for the 21st Century have been invaluable in terms of ADR foundation and providing information to the disputants and their representatives who use our services. Many thanks and best wishes for continued success. Having been a Mediate.com user since 1998, I have observed its growth and reputation as a professional mediator referral service with admiration. Over the years Mediate.com has grown from a nationally based, to internationally based, to cloud based provider of its service. Whether a mediator in search of a professional service through which to advertise or a potential client in search of the ideal mediator, Mediate.com has the answer. It is here the professional’s profile is geographically located according to the mediator’s wishes. In my view, the success of Mediate.com as a professional mediator referral service is due in no small part to the leadership of its founder, President and CEO, James C. Melamed. Mediate.com is the single best connecting point for mediators globally. It is one of the few (if not the only) groups I've researched whose doors are wide open and actively promoting the field of mediation with respect and support for mediators from every specialty, region and approach. THANK YOU MEDIATE.COM for 400 issues!! Looking forward to 400 more. Indispensable is the most apt word. An easy way to keep up with the latest developments in the mediation. there is always something interesting and always something worthwhile. Congratulations! I cannot emphasis enough how important mediate.com has been and is to the mediation community. If I could add another newsletter or additional info to my brain or my day, I would be an enthusiastic member of this on-line community. Unfortunately for me I am overfull with the abundance of opportunities for input and engagement that life in this day and place afford. Keep up the wonderful work you all do to connect people, nurture creativity and foster growth in this community of practice called dispute resolution. Your team is amazing and this is an event worthy of celebration. Hope this note of appreciation finds you all well. Best wishes for another 200!! This testimonial is for Mediate.com's Caseload Manager program. I love it!! I don't know how we ever managed without this incredible, powerful, easy to use and learn case management program. Also, it doesn't hurt that any and all questions are answered almost immediately, and politely, too. Mediate.com is without question one of the best sources for current information about mediation and, more importantly (to me) excellent articles on specialized topics. In fact, from time to time I have recommended articles to students in my conflict resolution classes at CSUDH bcause of their insight and currency. Republishing all of the ODR book was an amazing contribution. Thanks for such good work. Mediate.com goes beyond being just an Internet leader... as evidenced by Jim Melamed's in person presence at so many important mediation events including the recent APFM conference in Denver. Congratulations on your 500th edition. What an accomplishment for mediate.com and its team of professionals. I've been with them since their infancy and as the field of mediation has expanded, so has mediate.com. They have kept pace with the changing landscape of conflict resolution on a national and international level and I look forward to the next 500 editions. congratulations on the 200th bi-weekly newsletter. No doubt that Mediate.com has been the singular most accessible and valuable resource for the continually burgeoning field of mediation. The site is invaluable to mediators as a place to go for new ideas and to refresh their learning. I leave my Mediate.com newsletter in my email inbox until I have time to review the articles carefully, because I almost always find something relevant to my practice, and am often moved to correspond with the authors, exploring the topics in more depth. After 20 years as a full-time ADR practitioner, I have found nothing to compare with this service. As an ADR trainer, I always refer my students to the site as a basic research tool. Congratulations on the 200th issue. May you have another 200! I applaud Jim Melamed in his outreach, professionalism, leadership and excellent customer service through Mediate.com. Mediate.com is a great promoter of mediation and a major contributor to the field of ADR. Additionally, Mediate.com is a powerful and valuable resource and business tool which effectively links individuals and businesses to ADR services. Congratulations and thank you to Mediate.com for being such a valuable resource for the mediation community -- and for those who want to learn about or to use mediation. Here's to many more issues of the Newsletter and to many more years of Mediate.com making wide-ranging thought on our field accessible to so many. Mediate.com is such a rich professional resource as well as a way for people in other fields to understand what we conflict resolution professions do and the tremendous value we offer. The articles and blogs are a treasure trove of wisdom and insight and give us a forum for an ongoing thoughtful conversation with each other. I feel blessed to be a featured blogger and appreciate all the feedback and questions I've received from all over the world as a result. Here's to four hundred more issues! CADRE, The National Center on Dispute Resolution in Special Education, has benefited enormously from our partnership with mediate.com and Resourceful Internet Solutions. Your unique combination of technological wizardry and dispute resolution expertise has made it possible for us to efficiently provide important information and assistance to parents whose children receive special education services, the educators and policy makers who provide critical services, and the dispute resolution practitioners that help resolve disagreements about what those services should be. You've helped us to extend our reach in ways that I would never have imagined and been a delight to work with every step of the way. Best wishes for continued success. Mediate.com has been my online mediation home since I commenced my neutral practice three short years ago. In its "pages" I found useful advice, wisdom and counsel, both as to the theory and practice of mediation and the all-important topic of practice development. Mediate.com was kind enough to publish my first tentative mediation observations and interviews when I was still laying down my neutral roots, before the first bud of my practice raised its head from the ground. The only reason I had the chutzpah to write these articles and to conduct interviews with mentors such as Joe Folger, Robert Baruch Bush and Kenneth Cloke was my sense that they would find a home at mediate.com no matter how green their author. The mediate.com site, and its fabulously committed principals, Jim Melamed and John Ford, have thus been guides, mentors, companions, and finally collaborators in this once in a lifetime journey from legal to neutral practice. I frankly don't know what I would have done without you guys! I send my congratulations and gratitude to you on this your 200th "anniversary." I'm looking forward with eager anticipation to the 300th and 400th editions of your newsletter, which may way well take forms we cannot even imagine now. You're simply THE BEST! Mediate.com is definitely one of the cornerstones of knowledge of ADR in the world. It 's always been so, and it will continue to be so. I am very grateful to all those who, every day, work to make the website Mediate.com the world's reference for all ADR professionals. Personally, I have always recommended Mediate.com to everyone: employees, partners, students of my training courses, colleagues and competitors. You can not think about being an ADR professional without having viewed and gained important informations from Mediate.com! Well done, I wish you long life! Alessandro Bruni founder CONCILIA LLC Italian leading ADR Provider. I have used mediate.com as a valuable resource for information on trainings, mediation topics, and as a resource for me to write about a topic that is dear to my heart- mediation. Thanks for being there. Mediate.com has been an invaluable resource to the mediation community around the world. As a result of the publication of two of my articles online with Mediate.com, I have now had articles published in the Icfai Journal of Alternative Dispute Resolution in Hyderabadm India, and in the National Mediation Journal of Australia. Thanks for the outstanding work that you and your team are providing to the mediation world. I look forward to your continued contribution to this developing profession. I want to congratulate Mediate.com editors, managers, and hard workers for your accomplishment. You have been providing us with up date news, articles and discusions on conflict management and resolution. I appreciate all you have done to maintain your publications all this years. We hope you continue providing us this important information. While my mediation work is exclusively in Florida, the insight I gain from the broader, national views through the Mediate.com Newsletter has been invaluable to me. Congratulations on your 500th edition! Of course, Mediate.com is the Go-To place for mediators. I also appreciate and laud the pioneering work in creating a worldwide on-line community that serves all the stakeholders: the public and the mediators. Congratulations on reaching this wonderful milestone! I am happy to be part of this as an author and featured blogger. Having my articles and blog posts featured on Mediate.com has created numerous relationships with conflict professionals all over the world. I would not have been able to engage many of these people, both as an author and reader, without Mediate.com. Thank you and I look forward to reading and submitting many more articles! I wrote an article years ago about Finding a Mediator and it was published on Mediate.com. I still get responses to this article, business from it and affirmation for it! Thanks mediate.com. People really read your stuff! Thanks for 500 issues Mediate.com! In a diffused industry, it’s nice to have a few bright stars cultivating new ideas and best practices. You do that through the newsletter and websites. Here’s to another 500! I value the contribution that Mediate.com brings to those who seek and work for peace, justice and conflict resolution. The diversity of perspectives and topics demonstrates that there are many ways that we can contribute to improving the ways that we resolve our differences. Congratulations on reaching this major milestone!! The Mediate.com weekly provides our community with a wealth of ideas, information, and case reports. It's a vital resource for mediation practitioners, teachers, and trainers. Many thanks to Mediate.com for providing a virtual sense of community to the disparate world of mediation. Congratulations on your 200th newsletter! I would like to share with you that Mediate.com has been instrumental to my "second career" in assisting individuals and groups learn to manage conflict constructively. I discovered Mediate.com while exploring the web in attempting to educate myself about mediation and conflict. It has since become my primary source of quality information on a range of conflict related topics. I decided that one way I could make a contribution to conflict management was by writing articles and submitting them for consideration of being published in Mediate.com. This has been rewarding in many ways, one of which is the number of visits that I get to my website from across the globe. I also have found a supportive "friend" in John Ford who has encouraged me to continue to write articles and develop my talents. I look forward to continued association with a fine organization. Mediate.com is the central source for and about mediation. A one stop shop for anyone looking to access and vet professionals across the U.S. Mediate.com is the go-to source for information, education, visibility,connection. Thank you Jim! As a conflict resolution practitioner, I find it challenging to stay abreast of developments in the field and to keep things fresh. Mediate.com keeps me connected with the work of my colleagues, and sparks my creativity by continually offering fresh perspectives on our work. Mediate.com is the GO-TO place for mediators to exchange ideas and make contributions. Long before the rest of us spotted the power of the Internet for our field, James Melamed and John Helie were there, building an asset that is now so central to hundreds of successful mediation practices. When Mediate.com says it is the "most visited dispute resolution site in the world", I believe that it is true from my personal experience as an author. The responses to my articles have been from throughout the world (from nations such as India, Germany, Botswana, Spain, Ireland and Israel), which shows that the Mediate.com is having a world wide impact. Over the years that I have published articles, I have received over 100 letters from people seeking help with conflict in their churches and advice on how to start in the mediation profession. This shows that people come to Mediate.com when they are seeking help, which means that it has been a blessing to many people. I thank God for Mediate.com, as it has been a platform that has allowed me to connect with people both near and far away. Keep up the good word, and continue to make your important contribution to the conflict resolution community. Congratulations on your 500th edition! www.mediate.com remains a great resource for mediators all over the world. Hope to see the 1000th edition in the future! Aloha to Mediate.com on this milestone. We know the ubiquitous nature of the internet. The Mediation community could not afford to be left out. Jim Melamed and Mediate.com created, in a single site, a gathering place for mediators, offered and provide us services, and have a vision, Jim articulates so well, for mediations presence in this medium in the future. In addition Mediate.com is open to, and used by, the general public, benefiting all mediators. Mediate.com has become a key component for mediation to reach its "Tipping Point" in becoming first in line of choice for resolving disputes in a non adversarial environment. Mahalo Jim and staff for providing not just a spark, but a beacon for mediation, while at the same time providing excellence in service, reliability, and ease of use. Wishing you continued success and growth, with warmest regards. Thank you Mediate.Com for providing information and increasing the connections between our community of mediators. Thank you also for providing so many articles on the relationship between spirituality and conflict resolution. As a mediation trainer of several thousand people, I always encourage newly trained mediators to take advantage of the vast resources and experience contained within Mediate.com. There is nothing out there that even comes close. Mediate.com is the "Wikipedia" of Mediation. Thanks to all who contribute to this wonderful resource! It is a wonderful body of knowledge shared worldwide. Based upon more than a decade of passionate work, Mediate.com has become to mediators what Google has become to the internet. Jim, congratulations on the occasion of Mediate.com's 200th newsletter for establishing Mediate.com as the world's leading resource for mediators and others seeking information about what mediators do. You and the "Johns" (Helie and Ford) are true pioneers in the Internet age. I look forward to receiving your next 200 newsletters! Congratulations to Mediate.com. I have really appreciate the diverse, informative articles over the years. As a contributor and as a reader, I find great value in Mediate.com articles. They have been enlightening, refreshing and educational as they continue to validate the services I provide to my clients and the diversity of perspectives within which I am able to meet the needs of my clients. They have also served to create a network of professionals in this field and has served to diminish some of the isolation by providing a foundation for building a community. Again, congratulations and well done! Mediate.com has become a tremendous resource for mediators, their clients and anyone interested in conflict resolution. It is the go-to resource for conflict resolution. My clients frequently comment on the wealth of very useful information available on the site. The dedication and innovation of its creators guarantee it to be an influential resource to the world for decades to come. Congratulations on your upcoming 200th issue. It is such a great service to the mediation community. We have often gained wisdom and make networking contacts through your site/newsletter. It is also nice to have a community of peers as an audience to publish to. Thank you for this opportunity. Mediate.com has been a great resource and a great opportunity for me. Thanks for the vision and the accomplishment. Mediate.com has opened the world of curious minds to mediation and all its benefits and travails. With the knowledge and educational assistance provided through mediate.com, the public can access valuable information and resources to manage conflict. Aside from the value and importance of mediate.com's support of ADR providers and users, it has become a center of updates, trends, teachings and learning for mediators seeking to sustain their expertise and broaden their capabilities. With technology driving the global business and social worlds, mediate.com arrived none too soon and will continue to be a valued technical resource in the world of dispute resolution. Mediate.com has consistently been a leader in online support of dispute resolution practice and education. They were the first organization to embrace the need for an information database to support the growing field of health care dispute resolution and created a health care section to provide a focus for those interested in this specialty. Mediate.com has distinguished itself in the forefront of web-based access to ideas, practitioners, programs and services for those interested in the emerging issues impacting the theory and practice of conflict management and dispute resolution. Congrats to Jim Melamed, John Helie and John Ford for their hard work, tenacity and resulting success! Mediate.com Weekly is the best of its kind for up-to-date coverage and cutting edge analysis. I look forward to receiving it and reading about our field from the various perspectives of its authors. It is an invaluable resource. The only missing topic has been an article on why mediators are all so darn good looking and intelligent! Here’s to another 400 issues. Mediate.com is an invaluable resource for providers as well as clients of mediation services. The site provides a wealth of information that really is not available from any other single source. The newsletter in particular has brought me insight and ideas that have enriched my practice. I hope to celebrate the newsletter's publication for decades to come. Congratulations to our friends at Mediate.com on the 400th issue of The Mediate.com Weekly! Not only do you provide us with great content, but with a sense of community. And there's the well linked directory too. Keep up the good work -- for at least another 400 issues. Mediate.com is my go-to place when I'm trying to find a new way to resolve a new problem... or a very old problem. The methods people describe are as ancient as society and as innovative as... well, using the internet to connect people to solutions and to other people who might be able to help. Thank you, Jim Melamed, CEO of Resourceful Internet Solutions Inc and Mediate.com. Thank you, all the mediators who have contributed. And thank you, all you clients seeking peace. You teach us so much. CONGRATULATIONS! Thank you for providing such a great platform for conflict management practitioners to impart ideas,to network, to learn, to stay abreast of what our colleagues are doing, to be informed of conferences and training, and to be able to share our professional profiles. You continue to do all that and more and it's a pleasure to celebrate your success. As I have watched mediate.com grow over the past 16 years, so too has the field of conflict management. It is no coincidence... this resource has charted the future and direction of ADR. It connects us and offers a venue to share ideas and best practices. I have read every one of the 400 issues to my benefit and that of my students, to whom I recommend mediate.com as a necessary part of reading the literature in this field of study. Thank you for the hard work and effort but especially for the insight, information, and guidance from the contents and the contributions of so many...you are our community activists. Mediate.com has become the key one stop shop of freely shared ideas and resources in the conflict management field. Its founders have walked the talk of co-operation and encouragement of others. Mediate.com has performed an astounding service to the mediation community for many years now. I always suggest that participants in my mediation trainings visit the site and search through the thousands of excellent articles offered free. I also suggest they consider the nearly instant professional web presence available there, if they're intending to hang out their shingle. Thank you to Jim, both Johns, Carol, Byron, and everyone else who has made this site what it is for so many years. Mediate.com is an easily accessed wealth of information for the public and mediators on a wide variety of topics. I love perusing the new articles and Keith Seat's Mediation News to try to stay current with the hottest ideas and happenings in the field. I offer a big thank you and congratulations to all of the mediate.com creators and staff who have made this resource available to us. Over the last 18 years Jim Melamed has used Mediate.com to bring his vision of professional mediation to the world. As we made the transition into the electronic age Jim was way ahead of the curve. And, today he continues on as a strategic influencer, with his Mediate.com University. My mediation career has spanned 25 years. During this time, I've studied and analyzed the emerging trends and challenges that we face as individual mediators and as a profession. And, I believe that Jim has shaped our profession in a way that no one else has. As I move into the second half of my mediation career (yes, I do expect another 25 years) I will continue to look to Jim and Mediate.com for ground breaking vision and wisdom. If you want to know what is going on in the mediation universe, look no further. You can find the answer at www.mediate.com. In 2004, I was introduced to Mediate.com by a friend and mentor in professional ADR Practice. It has been a wonderful professional experience gaining knowledge and keeping in touch with the Mediator-Community worldwide. Mediate.com is actually a one-stop shop for international research, comparative analysis of ADR practice around the world while being a part of an international community of ADR practitioners. Mediate.com to me is serving the invaluable purpose of developing, advocating and streamlining the body of knowledge in ADR today. Simply put, Mediate.com is championing the practice of ADR as a profession and this is refreshing to note as an ADR Professional . Amidst the flotsam and jetsam that passes through my email inbox, there are a few items that I always read. The Mediate.com Newsletter is one of those items, because it's one of the first places where cutting-edge ideas appear, and the articles are well thought out and well written. Mediate.com breathes life into the field of mediation. The collaboration and support of the profession truly is second to none. In the fields of healthcare and family, mediators are being required to become more diversified in their training and to demonstrate cultural competence. Aging society is rapidly bringing elder and dementia care issues into the field of mediation. Promoting mediation as a valuable option for the ever-growing range of issues families and healthcare professionals face in providing care and quality of life offers validation, understanding and hope. I am honored to be among the contributors of Mediate.com Newsletter and offer sincere congratulations on this 200th issue. Congratulations to all at Mediate.com Newsletter on reaching your 200th issue. By providing a space for reflection and a platform for debate, the site has become an essential resource for conflict resolution practitioners and trainers around the world. Looking forward to your next 200 issues. If you are serious about mediation, you have to visit mediate.com on a regular basis to keep up with the latest developments in the field. Mediate.com is the site by mediators for mediators. Mediate.com has played such an important role in the development of new ideas, general awareness and creative techniques in dispute resolution that it is impossible to imagine who we would be without it. It is the air we breathe, the ground we stand on, how we think and act. It has been a safe space in which to experiment and discover. It does not require academic citation or comprehensive literature reviews, and accepts even unfinished, incomplete and off-beat ideas that link our work with other fields. In doing so, it has advanced the field in untold ways. Thank you, on behalf of all of us around the world who are searching for solutions, for keeping the door open. Terrific materials from all corners of the mediation world. You have achieved excellence and impact so here's a toast to continued health, wealth and wisdom and the 1000th edition! Mediate.com continues to offer unique opportunities for practitioners as well as clients to find each other. No matter the growth Mediate.com continues to provide a a response to the needs of members. I've never been put on hold and told my call will be answered in even 5 minutes. Great job! Congratulations on reaching such an auspicious milestone with your newsletter. I invariably interrupt whatever I'm doing at my desk when the newsletter email pings its arrival. And, I've never opened the newsletter without finding interesting articles that expand my understanding of how what I do happens (yes, an old dog can learn new tricks). 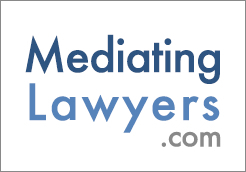 Mediate.com also has given me a great resource for my law school and college negotiation and mediation classes. I offer my students an opportunity to visit the site, browse the Articles menu, and write a critical analysis of a selected work--not a summary, but a critique of the author's arguments. When these papers are presented in class free-wheeling debates ensue. Please give my thanks to John, John and Keith for their dedication and perseverance. I look forward to Issue 200, and beyond. Mediate.com serves an invaluable function of commissioning and collecting materials of great practical value to dispute resolution practitioners, teachers, students, and the public. The materials are easily accessible and cover the full range of the field. The field owes a great debt to its founders and editors of this fantastic resource. In the mid 1980's I had the pleasure of meeting Jim Melamed, who would later become Executive Director of AFM. He had thought then of the internet world and commenced with starting 'www.mediate.com'. I thought the idea intriguing, but had little idea that this site would become the most successful, and one of the most influential websites in the world. I read many of the articles on www.mediate.com, I give out the website to all my students in mediation world wide, and know that the readership values the website. 200 bi-weekly newsletters? It is only the tip of the iceberg. Better things are coming no doubt. Congratulations to Mediate.com! Congratulations on this achievement! It's very good news- for all of us. We appreciate your pioneering the electronic aspects of our work and are grateful for your vision and passion. The newsletter (with or without the circulation to clients), is a great tool. It keeps us in the loop about what's happening in the ever changing world of ADR. It reminds us that our solitary profession as mediators need not be a lonely one. And, it keeps us fresh, hopeful and always thinking. Thanks for making our profession stronger and better everyday. A reliable, broad-ranging resource for mediators as well as those they serve. A visionary, tech-savvy leader in the field of mediation. CADRE, the National Center on Appropriate Dispute Resolution in Special Education provides technical assistance to all 50 states and the 10 territories working to increase the nation’s capacity to effectively resolve special education disputes and reducing the use of expensive adversarial processes. While are resources are limited, our footprint is large. Thus, we need to use technology in order to efficiently reach across so many time zones and to so many varied constituents. For 15 years now, the folks at Resourceful Internet Solutions and their flagship website, mediate.com, has enabled us to do this very effectively. I can’t imagine our web presence could be any better than it is and for this we are very grateful. Always relevant and useful, but the best I can say is that this is where I saw my present job advertised, which I love, so thanks!! Mediate.com continues to grow and to provide valuable resources and connections for mediators and other conflict workers! IMPRESSIVE! Please,Jim Melamed, keep putting your awesome energies and imagination into this forum! Congratulations to Mediate.com! I was honored to be accepted as one of the authors in the year of 2005. I believe that the fact that I continue to receive comments and questions from readers worldwide perhaps is an indication of how an online publication impacts readers especially those who are from countries where mediation is not as widely accepted as it is in the USA. Thank you for providing an open space for all of us! Mediate.com is constantly referred by me to all kinds of people as a community on the Internet where they may explore answers for themselves, their families, their workplaces, and their organizations. It is not only because I know personally the fine people at Mediate.Com, I refer because everything offered there is healthy, positive, and constructive in intent and effect. We who are well familiar with the work of Mediate.Com perhaps take its rich resources for granted. Where else in the Internet can we turn for so many rich perspectives on so many areas of conflict made available to the public, indeed, the international community? Of course, there are thousands of sites with free information, many quite excellent. However, one of the things I love about the community of conflict resolution created by our brothers and sisters there is its egalitarian, non-elitist, democratic quality. While the Editor surely must receive many submissions of divergent quality, and some that must be rejected, Mediate.Com's content shows that the management wants to showcase thought that advances our common task of understanding, better methods, and more permanent solutions to conflict. One need not be a deeply-published academic to have sound and constructive insights offered to our readership. One of the best suggestions I provide to participants in my Mediation Training is to put the mediate.com icon on their tool bar. It is the best resource for anyone who is serious about mediation. I explain that they will find dynamic news, ideas, critical analysis and information on mediation as well ways to build their practice. There may be another resource out there but really, why bother? Thank you for your help developing, improving and promoting mediation and being the venue where can all come together as a community. If there is one organization indispensable to our profession it is mediate.com. Congratulations to Mediate.com on your "200th." In an unregulated area such as mediation, you provide invaluable support, networking, education and a sense of connectedness to those of us in the field. My best to you all. Jim, When I think of the many contributions you have made to our field, what stands out for me is that you have demonstrated to us all how to run a mediation business while still being generous and willing to share! (It's the site where I refer all my trainees as the place to learn about our field - free.) You've stayed the course, never wavered, always been a part of important conversations while keeping your independence. What more can we say than 'Well done.' Please don't stop! I hope you'll be asking us to submit a testimonial for the 1,000th weekly edition. Mediate.com is the first online source I search when researching current trends/topics in mediation. The articles I have found have been invaluable resources for my mediation practice. Thank you so much! Mediate.com is not only a wonderful opportunity for mediators to share their thoughts and ideas, it is a great resource for articles on a multitude of topics. As an additional benefit, I recently got a new client who found me through an article I had written in mediate.com. Keep up the good work. Mediate.com provides a real service to the public- providing valuable information about mediation's constant evolution in a smart, easily accessible format. In the field of Resolutionary Processes, Mediate.com keeps taking long strides and in its path, keeps expanding the field and its reach! Mediate.com continues to acquaint us with the latest in fresh, exciting new ideas that do not have to conform to academic requirements or anyone's idea of what our field should be. It is where we learn from each other, and it does not cost us a thing. As a result, it is invaluable and deserves our continued support. Happy 500th Issue! I have been an avid supporter of mediate.com for well over a decade. It is where I have chosen to have my website and it is where I encourage other mediators to have their websites. It is where cutting edge articles are written by some of the brightest minds in our field. It is where mediators can go to get up-to-date information on what is happening, not only in the field of mediation but the entire field of conflict resolution. It is where you can keep track of your colleagues, read blogs about conflict resolution, search for multiple resources through the mediate.com "marketplace," find options for top-quality trainings, get a referral for a mediator and much, much more. What's not to love? Congratulations to Jim Melamed and his team for continuing to provide a great service to our field! Mediate.com is far and away the richest resource for everyone interested in mediation, from the most experienced and successful mediators to those who have just heard about mediation and want to know more about it. It is the crown jewel in the field. Congratulations to Mediate.com for reaching this milestone and thanks to Mediate.com for being not only a superb resource of professional information for mediators but also for the clients that needs our services and counting to advance the profession! Mediate.com has been and continues to be THE source for up-to-date information about mediation for both the public and the professional mediator. My listing with mediate.com provides many referrals to me, even though I live in a small, rural area of Colorado. Since mediate.com is managed by real mediators, not just folks looking to make a quick buck from practicing mediators, they significantly contribute back to the field. The depth and breath of the articles is stunning, and are tremendously useful in my practice. Keep up the good work! Mediate.com is an important tool for researchers and practitioners. My students find the on-line resource efficient, on-the-mark, and filled with thought-provoking articles. Congratulations on the milestone of 200 issues of The Mediate.com Newsletter. When I first discovered this treasure trove of information, opinions, and insight into our ever expanding field I immediately realized the importance and value such a clearinghouse of ideas could be for a fledgling profession. Mediate.com is the first place my graduate students are asked to go for a glimpse into their new and exciting course of study, and it is an often quoted cite in papers and discussions. Thank you for pioneering with this resource and giving the world and all of us the opportunity to have a place to interact, share, and learn. Your tireless efforts, good work, and contribution should be recognized as the brightest star in this constellation we call ADR. Congratulations on reaching the 500th edition! Quite a milestone! Mediate.com has helped shape us as a profession. Thanks for the invaluable resources and support you continue to provide to the ever-evolving, ever-learning mediation community. We are all better because of our relationship with Mediate.com and the innovative ideas and information you provide to us, as well as the network of colleagues with whom we are connected because of you! Felicitaciones a Mediate.com, líder mundial en mediación, que durante estos años viene construyendo día a día a la mediación en el mundo. No me imagino el mundo de la mediación, sin mediate,com, porque mediate,com, constituye el punto de internet, de intercambio de experiencia mundial en mediación, lugar donde los mismos mediadores estamos edificando el futuro de la Mediación en el mundo. Mediate.com me abrió el mundo de la mediación, porque me permitió conocer y compartir, las ventajas y riquezas de una de las herramientas más poderosas que ha creado el hombre, un saludo desde Lima – Perú. I am honored to write a testimonial because Mediate.com has been a real blessing to me. Over the years, I have enjoyed reading and commenting on some of the many articles various conflict resolution practitioners have written. We may not always agree on every thing; but the debate in the area of conflict resolution I have found to be healthy and stimulating. The articles I have written have given me an opportunity to share the well settled and time honored principles I believe in to settle disputes. As an author, these articles have connected me with new friends and associates from near my home to as far away as the country of India. It has been a joy to be able to help educate so many people and to touch lives in ways that I did not anticipate before being involved with Mediate.com. I look forward to the opportunity to continue to build relationships, participate in the dialogue, and to help people everywhere to amicably settle their differences with each other. God bless you in all your future endeavors. Congratulations and a great many thanks to all the continuously dedicated staff that keeps this precious and priceless site going! As I said last time: mediate.com has become my "Mediation University." Mediate.com is very resourceful and useful in this field. Whatever I need to explore, I will make my searching in the site first. This is very helpful for mediation promotion in Hong Kong. When helping to orient new dispute resolvers to the media in our field, "Mediate.com" is always the first place I send them. John Helie was the first person to show me the potential of the Internet for marketing and communication, and the entity the two of you established is still in a class by itself as both an intellectual and a business center. Mediate.com has become the leading promoter of mediation. Quality, creativity and flexibility are adequate words to refer to mediate.com. I am very proud of being a contributor. Mediate.com is a unique forum for mediators to share their knowledge and learn from each other. It is one of my favorite sites on the Internet. We are all very fortunate that it exists. As a conflict coach for non-profit organization and Canadian Churches Mediate.com has proven to be a great resource for articles and discussions. Congratulations on your 200th bi-weekly edition. Having been a subscriber/member since its inception, I am very grateful for the role that Mediate.com has played in advancing the field, creating a phenomenal library of dispute resolution literature, and offering practitioners with hands-on access to their individual websites. What is even more impressive are the creation of the internet technologies that are being used by institutions, as well as individuals, to deal with dynamic human interactions that go well beyond the limited plane of mediation. The staff of Mediate.com have created both a domain for practitioners and an unending fountain of technological ingenuity that makes it unique in its field. Congratulations to Jim and the staff for an amazing job. Very resourceful for me and I highly appreciate the dexterity and commitments of James Melamed and rest of the team. Blessed are the peacemakers for they shall be called children of God. We are equally blessed that contribute to this website. Cheers! Mediate.com has been one of the best sources of information about the emerging field of mediation. Congratulations on a job well done.!!! Present throughout the long tortuous efforts to create a "mediation profession" by a plethora of groups, associations, theorists, philosophers, and followings, Mediate.com continues to be the primary transcendent unifier of all things mediation. Thank you for being the "non denominational" home for all of us. I met Jim Melamed at the 2006 Texas Mediators Conference. He looked at my website and invited me to submit some of my articles to Mediate.com. Since then I have received a steady stream of comments from readers over the years. Often I refer folks to Mediate.com to find scholarly and opinion articles on just about any topic that Mediators can imagine. The process has always been so simple and interaction with Mediate.com staff is super responsive. Thanks for your dedication and willingness to try new things, innovate and take suggestions. 500 editions and growing. Felicidades! Having trained over 5000 mediators nationally,in each course I cite something from Mediate.com, and of course always direct students to Mediate.com as an additional resource. Mediate.com has, from the beginning, been a resource for conflict managers in at lest three unique ways. First, access to the influencers, thinkers and mentors of our field across time and distances; Second, a safe place to test ideas through articles we want our peers to read and comment upon, and; Third, a collection of easily accessible articles we can steer clients, students, and others to for understandable information. That's just the top three contributions - there are many more. Thank you Jim and colleagues through the years! After 18 years, Mediate.com is still the only reliable source of information for ADR and ODR practitioners around the world. Congratulations. I will leave it to others to provide well-deserved observations on the leadership of mediate.com in developing the mediation profession thought the world. I wish to comment on the superb wed-hosting and email service that mediate.com provides. Compared to other internet providers, mediate.com has given me outstanding customer service on design and implementation of the website for my mediation practice, and responsive administration of my email service. When I have questions, I get immediate and authoritative answers and solutions. And, a special benefit is that this is an IT provider that is specifically dedicated to the mediation industry. As an educator and a practitioner, mediate.com has become an internet tool beyond value. Having provided mediator training since 1994, and teaching in various college programs, I gladly cite to mediate.com as a premier resource. Congratulations!! Congratulations to the Mediate.com Newsletter on its 200th issue. The Mediate.com Newsletter is an e-mail I truly welcome every couple of weeks, offering both the accessibility to publication for many mediators with valuable advice, insights and experience, as well as the commercial opportunity to present our practice skills to private practice attorneys and corporate counsel. I look forward to the 500th issue! You are, have for 18 years, and will continue to be our resource for historical narrative and cutting edge mediation practice. Thank you! Single acts of daring can alter the entire concept of what is possible! Jim Melamed dared, and in doing so united our community of Mediators. I truly appreciate the work that has been done by all of you on Mediate.com. It is a great resource that I use frequently and recommend to all my training participants. The Newsletter is a great help in noting great new articles, news, and trends. Thanks again for all you give to the field. Mediate.com provides a unique and invaluable service to the field of dispute resolution: it's at once a library for practitioners, a resource for students and academics, and a marketplace for conflict-related services. Part reading room, part labor exchange, part dating service--something for everyone! What's not to like? Congratulations to Mediate.com's celebration of it's 200th newsletter. You've been a great source of readily available and helpful information for collaborative professionals and the general public. Keep up the great work! As a senior mediator, chief editor of www.sulcha.co.il - the Israeli mediation website and chairman of the association of Israeli mediators, I Congratulate "Mediate-com" and its entire staff -past and present, on the 200th bi-weekly newsletter issue. Mediate-com has been a source of knowledge and a platform for dialogue. It has benefited mediators, students, academic institutions and the public. Mediate.com is the finest mediation website I have found. I recommend it to all my students, and to colleagues alike. It's breadth and depth are unmatched for mediation information, articles and resources, and the newsletter is outstanding. Thank you! How do I love thee, mediate.com: First, you are a unique resource for practitioners, researchers and educators with articles touching on all aspects of mediation (and ADR) practice and theory. At every workshop, seminar, training or academic course I provide a link to relevant article on mediate.com and encourage students to make use of this wonderful resource. Second, you are a mirror for the field, reflecting the history and development of alternative dispute resolution. Third, you are egalitarian. You encourage and publish submissions from novices who write about their introduction to the field as well as from gifted and experienced practitioners and thinkers. Congratulations on 500th newsletter of remarkable, provocative, humorous and educational articles. Where can the most significant collection of material relating to mediation be found on the Internet? Without hesitation, I would say it is on Mediate.com. The vast array of articles, videos and other information housed on Mediate.com’s site is simply unrivaled, in my view. Congratulations on your 400th and thank you for your amazing contribution to the continuing development of mediation. Since 1998, The Center for Appropriate Dispute Resolution in Special Education (CADRE) has benefited enormously from our partnership with Mediate.com. Mediate.com's potent combination of advanced dispute resolution expertise and superior technical know-how has been central to the success of CADRE's website and internet resources. Thanks for the extraordinary contributions you continue to make to the field. Congratulations on hitting 400 issues! My, I'm not the only one getting older! You have done so much to organize the information and the players in a field that has grown exponentially in so many directions. Mediate.com and SCMA are the first two places I direct Southern California newcomers to the field. I would like to thank Mediate.com for giving me the exposure to be known around the world with my articles, especially in the international sections, as an international mediator. Mediate.com is the most professional web site that allows people to know and study mediation and ADR. Mediate.com is a primary channel for learning what ideas are current and emerging within mediation, negotiation and ADR. It is an indispensable reference point for ADR specialists. I am honored to have contributed an article for this fine publication. Likewise, I enjoy reading the latest articles from my colleagues. To be honest, for some time I was a Mediate.com skeptic. I questioned the value of publishing articles that had not been rigorously peer-reviewed. But I found myself checking out every issue and invariably i found something I wanted to read. Mediate.com provides a forum for people interested in conflict resolution to test out a wide range of ideas from those that are only tentatively formulated to those that are fully developed. There is nothing else like and that is why it is an invaluable resource. I am so grateful to Jim Melamed for developing and growing this wonderful resource. Jim was doing this before there were blogs, if you can remember back that far in time; Mediate.com has become the #1 go-to resource for people all over the world to learn about every conceivable aspect of mediation. The articles are informative & substantive and written by top practitioners -- I learn new things every time I read one. Congratulations on 400 issues! Seeing the mediate.com name pop up each week always gives me pleasurable anticipation. Most of the articles are outstanding, and all illuminate the issues of concern around the world. Being able to join in with this conversation is a great opportunity and has led to making some long term and long distance friendships. Congratulations on this milestone and I look forward to the next 400 issues and beyond. Mediate.com is by far the greatest mediation resource online. I love getting the look into the minds of other mediators via all the posted articles and discussion groups. If mediators do it until everyone is satisfied, then mediate.com does it right. Congratulations Jim and the fabulous team at Mediate.com. Your site puts mediation and collaborative problem solving on the front burner enabling people and organizations to find resources and information which is the preliminary step in conflict resolution. Alternative Resolutions' business has grown as a result of your good work. The continuous flow of new articles by experienced mediators presented through Mediate.com was the inspiration for writing an article myself. Without this motivation the piece would have been another of the lingering "to dos" on my long list of the unaccomplished. Thank you Jim and John for your exceptional leadership. The Mediate com is a source of professional knowledge and information to me -and through me - to thousands of Israelis who enjoy reading Mediate com. articles in the largest Israeli mediation website : www.sulcha.co.il -- I congratulate Mediate com to continue and keep their status as the leading professional information source on Mediation and conflict resolution. Congratulations to Mediate.com for publishing the 400th issue of Mediate.com Weekly. You provide a trusted and invaluable service to both the mediation community and the public. Keep up the great work! Mediate.com is simply THE most important on-line resource that supports our growing profession. As one who only occasionally posts or responds, I have benefitted greatly via lurking , absorbing new ideas, and being reminded of old good ones. As a professor, mediate.com is one of my first recommendations to grad students entering our field. As a trainer, mediate.com is high on my list of suggested entry points for networking and learning. Congratulations to Jim, John, John, Keith and all of the inspiring writers who have contributed to this marvelous enterprise! Mediate.com has helped develop the field of mediation and ADR. I salute the foresight and the spirit of sustainability over the years. It must take a whole lot of determination to keep it going. It has provided for me an avenue to contribute to the field, to learn more and grow in the profession. It has touched the world with the gamut of knowledge on dispute resolution and has helped move the world forward in the art of peaceable living. I congratulate the Editor and the entire team at Mediate.com. Congratulations! I have been a mediate.com member for many years. My advertising on the site has helped me build a thriving divorce and family mediation practice and is now the only paid advertising I do. The newsletter and articles have become my primary source for deepening and expanding my knowledge and understanding of so many forms of conflict resolution. I think the field of mediation and conflict resolution in general would be poorer without the unbelievably rich source of information and ideas that mediate.com has become. Congratulations on a fantastic effort. Given all the mediation outlets and information centres worldwide Mediate.Com has through it's total professionalism become my mediation focal point for all the things that I need as a mediator. Becoming No 1, and staying there, in this field is no small task - it really is a huge credit to both yourself and your team. Thank you for providing such a wonderful and comprehensive service - and long may it last. Mediate.com has been an invaluable resource for the world wide mediation community to improve and promote mediation. It presents accurate and sensitive perspectives of issues critical to the development and practice of mediation. We are happy to help salute it on this important anniversary! Keep up the great work. Mediate.com is the best! I have been a subscriber since its infancy and have never been disappointed. The customer service has always been very responsive and helpful. The Weekly is full of interesting and useful information. Above all, it is a great value. Congratulations to mediate.com on your 400th issue. I can't tell you how it warms my heart when I get feedback on articles I've written over the years after Mediators in Canada or Ireland reveal their appreciation, engage me in dialogue, or relate similar experiences, joys and frustrations. Bravo on raising all of us up in the excellent work that you do so well and so tirelessly. With sincere admiration. Mediate.com is the best site in the field ... period. It provides timely and reliable up-to-date news and cutting edge analysis. I look forward to it every week and use it regularly as a “one-stop-shopping” resource. I routinely refer my clients to it so they can keep abreast of our fast evolving field. Here’s to another 500 issues! Congratulations on your 200th issue! I always look forward to reading my weekly newsletter and know I will be informed, entertained and stimulated by the articles you publish. Your website has done more to promote mediation than any other media organization in the world. Mediate.com is the "go to" resource guide for practitioners and the general public I am proud to have been a contributor and look forward to future postings. Keep up the great work!!! Mediate.com is the number one source for mediators and information on mediation on the web. If you have a conflict that needs resolution, you should start here. Thanks to Mediate.com for your many years of relevant education, support, and your comprehensive coverage of the global mediation community! Mediate.com is much more than an Internet newsletter. It is a repository of research and information that is committed to the exchange of ideas concerning the field of mediation. I especially find the articles that address the intersections between mediation and psychology, sociology, political science, theology, jurisprudence, and other fields, to be an invaluable interdisciplinary tool. I am often fascinated by the insightful and sometimes controversial reflections shared by my colleagues in mediation. Their victories, disappointments, joys, and frustrations often serve to affirm my own views and feeling regarding the profession. To that end, I believe that the greatest service rendered by Mediate.com is its role as an international voice promoting the peaceful, collaborative, non-violent resolution of conflict between individuals, organizations, and nations. In its own unique and profound way Mediate.com is a balanced voice of reason that contributes substantially towards the vision of a world where justice and peace can be realized by all of Humankind. Congratulations and many thanks to Mediate.com! Mediate.com has been, and continues to be, a vision come true! Congratulations to ALL who have made this site such an amazing marketplace of ideas, insight, scholarship, reflection, and dialogue. 500th Edition!! That's so awesome. The good folks at Mediate.com have provided an excellent platform for my practice over the years. When I started out on this journey, I was as lost as anyone could be. But by taking advantage of the training, and the articles and even becoming a contributor myself, I've grown from that 'newbie' neutral to Co-chair for the ABA Dispute Resolution Section's Intellectual Property Committee as well as a Neutral with the U.S District Court,Northern California. I'm blessed and happy to be a part of Mediate.com and look forward to the next 500 editions!! Mediate.com is truly cutting edge and the result of years of persistent hard labor. As Thomas Edison said, "Genius is 1 percent inspiration and 99 percent perspiration." I first saw Mediate.com at its booth at the first ACR Conference in Toronto in 2001. I had just a few weeks earlier found online articles about terrorism and our best response at Mediate.com immediately after 9/11 that moved me very deeply. I then used Mediate.com directly in my work in 2002-03 when I wrote a biweekly newspaper column for the Los Alamos Monitor, linking freely to Mediate.com articles. Next, I attended one of Jim Melamed’s workshop at the ACR Sacramento Conference on using online resources for a professional practice. And in March 2006, I was so inspired as to begin the Engaging Conflicts blog, and now have been embraced by Mediate.com as a featured Mediate.com Blog. In fact, Mediate.com, through its support, has elevated the visibility of all negotiation, mediation and conflict resolution blogs. Mediate.com -- cutting edge, innovative, a resource and ongoing support. Blessings on you! Mediate.com's wealth of information, both academic and practical, has allowed our field to blossom in ways unimaginable! Thank you for your hard work, Jim Melamed, John Ford and John Helie, in making mediation known to all. Congratulations on the 200th issue! We down here in South Africa appreciate the valuable academic and practical stimulation provided by a site such as mediate.com.Many of my students and associates have found your site invaluable! I believe that Jim Melamed's visionary decision 200 issues ago added significant value to the field of mediation and negotiation. Congratulations! I am sure your site has become a benchmark for many others in the supply of high level material on a crucial area of interest. Why Mediate.com? For a mediator/arbitrator or for someone interested in mediation/arbitration, it is simply the place to go. For example, there are all kinds of very useful articles, and if you care to write one yourself, you will find that other mediators may link to it thereby increasing your visibility. Thus, I certainly plan to stay involved with mediate.com in the coming years. A day without mediate.com is a day without sunshine. For a profession that can be very lonely indeed, mediate.com is proof positive that we are not alone, and a welcome reminder that we still have so much to learn. Mediate.com has created a world-class website that has such value that I regularly send my clients, my students, and my friends to seek its collective wisdom. The extensive collection of articles written by such talented and respected professionals are cited and reprinted widely in the fields for use in mediations and trainings worldwide. Congratulations are especially due to Jim Melamed and John Helie for their vision in launching this site, and to the many staff and contributors, who, for so many years, sustained this creative and practical service for conflict resolution professionals and consumers alike. Aside from being a critical resource for mediation practitioners and users everywhere, I will always remember that mediate.com provided critical support for ADA mediation in it formative years. Mediate.com hosted the ADA Mediation Online Discussion Group starting in 2000. The ADA Mediation Page, also established in 2000, was a valuable space for gathering new writing on mediation involving people with disabilities. While no longer in existence as a formal edited page, the previous collection is still there, new writing on the topic still appears, and mediate.com continues to be an ongoing resource for us. Thank you, mediate.com! Mediate.com has hosted my website for many years. Many folks look at it, and it generates business at a reasonable price. Mediate.com provides a great service to the mediation community. Mediate has helped me not only express my personal experiences with readers but has also helped my colleagues in the workplace gain the perceptions of others. This to me helps individuals understand the ongoing problem of workplace conflict. I would like to congratulate mediate on their 200th edition and thank them for recognising the need for people to be heard, educated and supported in dealing with difficult situations, whilst allowing me to share my experiences and become a better mediator. Mediate.com has become the heart and soul of Alternative Dispute Resolution in the United States and abroad. It has made and continues to make significant contributions to the ADR field in multiple ways. It would be difficult to imagine where our industry would be without it. Congratulations on this milestone. I always enjoy the newsletter and look forward to many more milestones in the future. As a Florida Supreme Court-approved Circuit Civil Mediator Trainer, I am always looking for new ideas and new ways to present old ideas, and I am pleased to say that I find both in each issue of the Newsletter. In fact, I've created an email folder just to hold copies of the Newsletter.